Gaspar, F.J, Gracia, J.L, Lisbona, F.J, & Oosterlee, C.W. (2008). 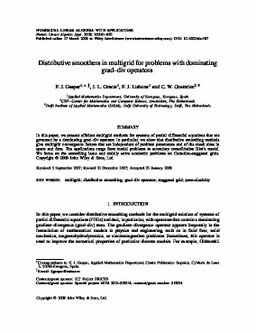 Distributive smoothers in multigrid for problems with dominating grad-div operators. Numerical Linear Algebra with Applications, 15, 661–683.